Taken from The Great Book Of Anchorages, Cape Sable, Fl to Mobile, Al, including the Okeechobee Waterway.. Many boats, especially those with deeper drafts, use Anclote Key as their jump off or arrival point from the Carrabelle area. Even we used to be under the impression that the Big Bend region was only for shoal-draft boats, but it really isn’t. The main thing you have to contend with is the distances in from deeper water to the river entrances, usually about 10 miles. Then add another 10 miles or so to the anchorages. 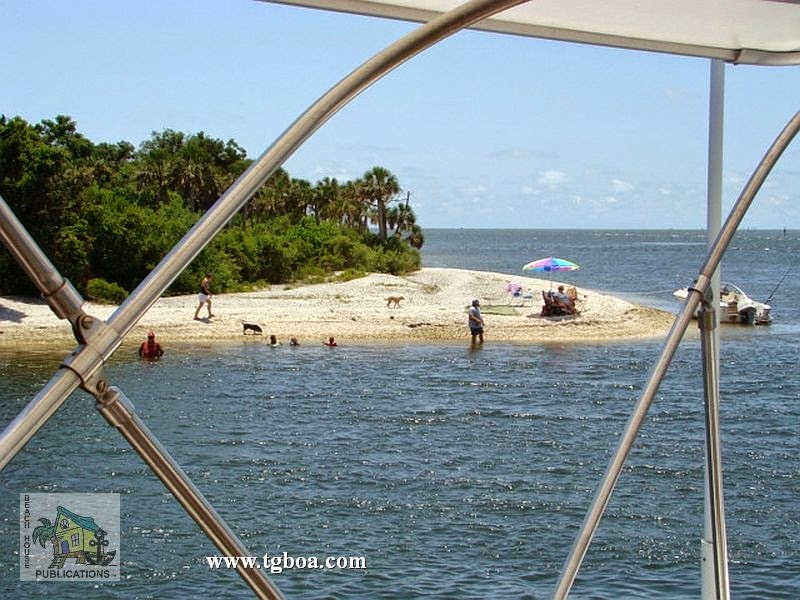 About 46 miles north of Anclote Key is the Crystal River, your first stop on the Big Bend route heading north. Yes, there is a 5-foot bar near the river entrance, but on a rising tide, even vessels drawing 6 feet can enter and travel upriver. The river itself is deep and once in Kings Bay, you can find a spot with enough water to drop the hook. A grocery store, laundry and marine supplies are all close by. Next, a short distance north, is the Florida Barge Canal. There are no depth issues here, with 7 feet at MLW being about the lowest you will see out in the Gulf and a consistent 10-14 feet in the canal itself. It’s a protected spot next to a park where you can walk, bike or hike and just a little over a mile to provisions to the north. Making a short trip out, then northeast into the Withlacoochee River, you will not see anything less than 7 feet. The Withlacoochee is absolutely beautiful. Plan on stopping here to wait out a weather system or simply to rest and relax. It is truly “Old Florida” at its finest. 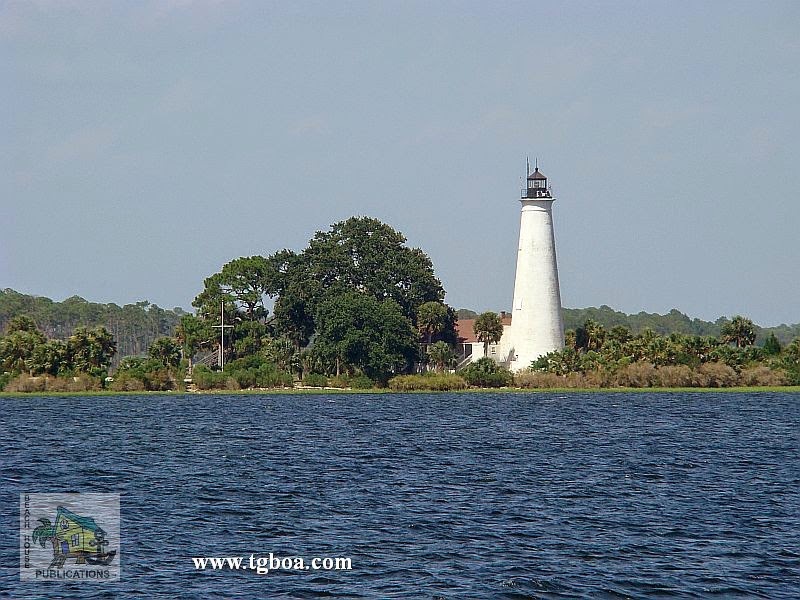 After coming out of the Withlacoochee, head west about 10 miles toward Seahorse Reef, then north into the Main Ship Channel to visit quaint Cedar Key. Anchor either by Seahorse Key or near town, depending on the wind direction. You’ll need to come out the same way you entered, however, as the Northwest Channel has shoaled to the point where it is not recommended by locals to use. With at least 7-foot depths over the northern portion of Seahorse Reef, you can easily cross over and continue on your way to the Steinhatchee River, a reasonably comfortable day’s journey. You will find 6-foot areas in the entrance channel so a rising tide is recommended for deeper draft vessels, but those areas are few and far between, so don’t let that stop you from visiting this quiet little fishing village. The river offers a number of anchoring options. all within a short dinghy ride to shore. Then walk to grocery or hardware stores. The next leg of the Big Bend takes one to the St. Marks River. With the exception of a brief period of 8-foot depths at a bend in the lower section of the river just north of the lighthouse, the rest of the river is quite deep. A number of anchoring options present themselves here as well. Restaurants, a small grocery and marine supplies are available. A relatively short trip will carry you down Apalachee Bay, around South Shoal and then into Alligator Harbor to anchor at Peninsula Point. With 7-foot depths in the approach channel, this too is a viable option for most cruising vessels and a pretty stop for the night behind a lengthy sand bar. One more short hop west takes one to Carrabelle, the end of the Big Bend and the beginning of the East of Harvey Lock portion of the Gulf Intracoastal Waterway. 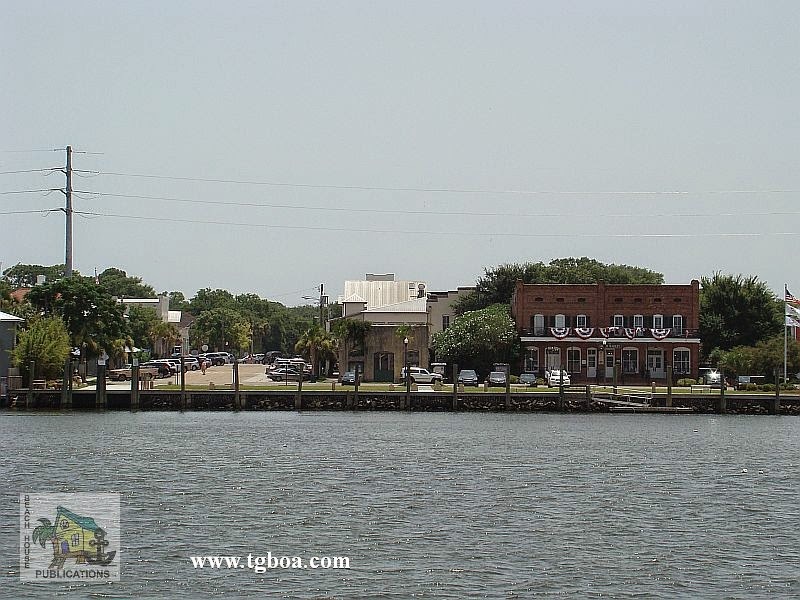 The little town of Carrabelle is a great spot to provision, dine and just to visit in general. It’s a friendly place with anchorage in the protected harbor. But don’t forget to visit the beautiful anchorages behind Dog Island. These anchorages are open to the north, but are protected from the prevailing afternoon sea breezes. Do not miss this lovely island. 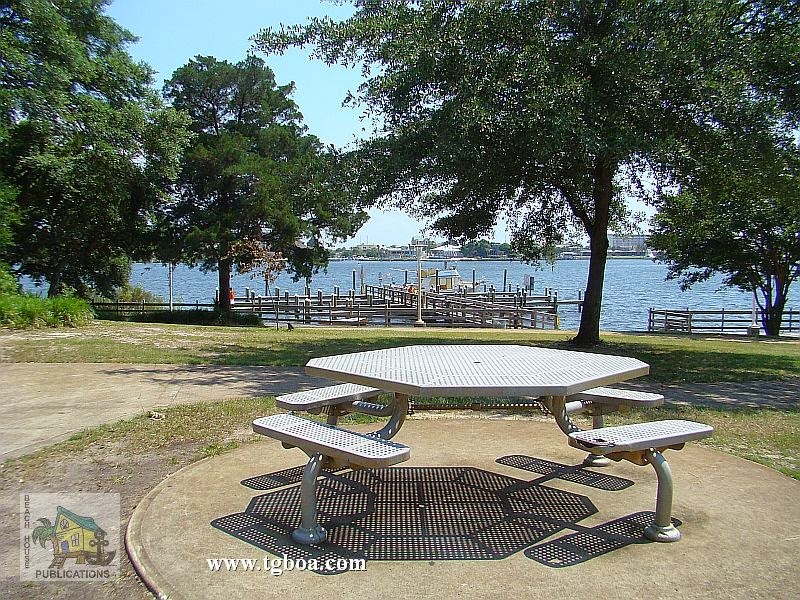 If you don’t need to come into town or want an easy start in the morning, anchor off Carrabelle Beach, located down the river and around to the west. This is also your starting point for this stretch. Continuing southwest along St. Georges Island, one finds another group of beautiful anchorages, some more protected than others. Rattlesnake Cove is a cozy spot for shoal-draft vessels. Gap Pt. to the east has better depths. All of these anchorages, however, share one thing–they are open to north winds blowing across the sound from the mainland, but are great in prevailing winds. At the southwestern end of the sound, a turn to the north finds one in Apalachicola. This super little town continues to try to find ways to lure the cruiser to visit. They have free docks just to the north of the fixed high-rise bridge as well as a long wharf along the waterfront to which one can tie during the day. If you prefer to anchor, it’s a short ride across to the floating dinghy dock at the wharf in the mouth of Scipio Creek. The next section of the GIWW takes you away from the beach and into beautiful, protected forest and swamp. The Pinhook or Saul and Searcy creeks are well-protected options within the next 15 miles. Then one arrives at White City, a public park belonging to the county, which has a floating dock along the canal for deeper-draft boats or fixed docks for boats that draft less than 6 feet in the basin. 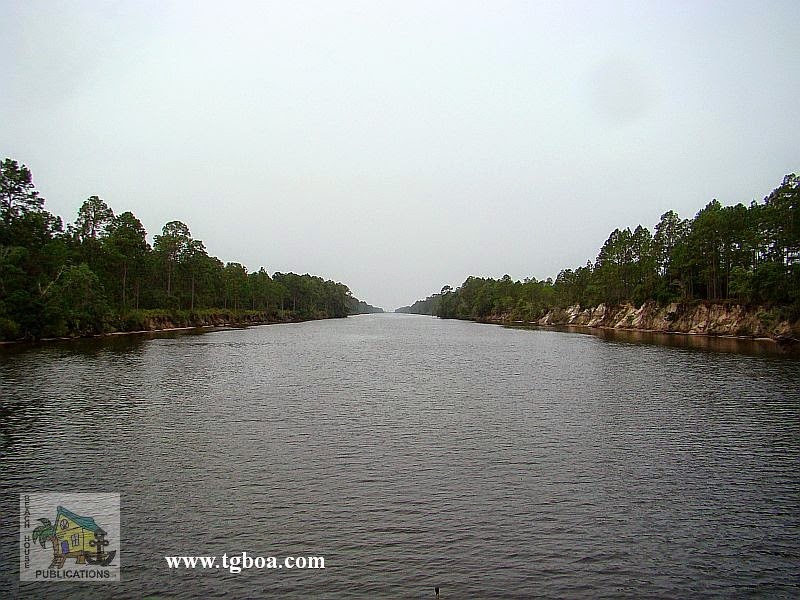 A little more than a mile northwest in the GIWW, the Gulf County Canal heads southwest to Pt. St. Joe and St. Joseph Bay. The significance of this 5-mile-long canal that accesses the Gulf is that if you cannot clear the 50-foot Dupont Bridge, some 33 miles northwest near Panama City, you must go offshore here and come in via the inlet into St. Andrew Bay to visit Panama City. You’ll not be very happy to cover all of those miles to find you need to turn around and go back out at St. Joe Bay! 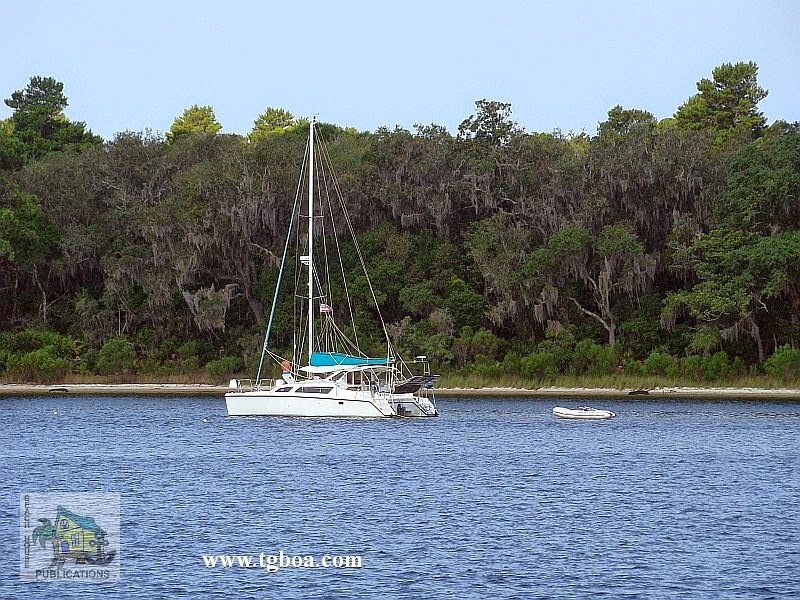 The good news is there are some great anchorages in St. Joseph Bay, which we’ve included, and it’s only a day run to Panama City along the coast. Anchor near Port St. Joe and walk to provisions or the nice downtown area shops and restaurants, and then visit the great beach anchorages on St. Joe Peninsula. The bad news is you’ll miss some cool anchorages in the GIWW. Back on the GIWW from Gulf County Canal to the Dupont Bridge, there is a 20-mile stretch of waterway with only one viable anchorage, Wetapoo Creek, and then the waterway opens into East Bay with its many bayous to choose from. Some are good for overnights where others are good for sitting out bad weather. Although they each have some sort of shore access for your pet, you’ll have to wait to reach Panama City for any provisioning. Once through the Dupont Bridge at SM 295.5, the very protected Pearl Bayou opens to the southwest. Even sailboats with tall masts will be able to visit here by coming through the deep inlet into St. Andrew Bay. The bayous on the north side between here and SM 290 will provide boaters an opportunity to access provisions while the bayous on the south side, like Smack Bayou, will be primarily for holing up for weather or getting away from it all. Watson Bayou to the north is one of our favorites. St. Andrew Bay gives folks another opportunity to get their beach fix with some great anchorages behind Shell Island and in Grand Lagoon, both part of St. Andrews State Park. The downside of these anchorages is that there is a lot of local boat traffic throwing wakes. They are also very busy during the summer and on weekends. Also, be aware that dogs are not allowed on state park beaches in Florida. The St. Andrew Bay/Panama City area is another spot where tall-masted vessels will be able to visit, but can only travel so far without turning around and going back out the inlet. We’ve already covered the restriction of the Dupont Bridge to the east. To the west, your next height restriction doesn’t come for a long time, but again, it will ruin your day(s) to find you have to turn around and travel many miles to get back out into the Gulf. Though over 60 miles away, you may be restricted by the 50-foot Brooks Bridge just west of SM 225 in Ft. Walton Beach and the 49-foot bridge at Destin, leading from Choctawhatchee Bay to the Gulf of Mexico. If your mast can’t clear these bridges, you’ll have to run from St. Andrew Bay to Pensacola offshore, a distance of about 90 miles that we’ve done in an overnight run. If you can run the inside route from Panama City, you’ll have a couple of nice, peaceful options to anchor for the night before making the 20 mile or so trek through the land cut sometimes known as the “Grand Canyon” for it’s unusual sand and rock formations. In North Bay there’s Upper Goose Bayou for east winds, and in West Bay, Harrison Bayou for west winds and Burnt Mill Creek for north winds. 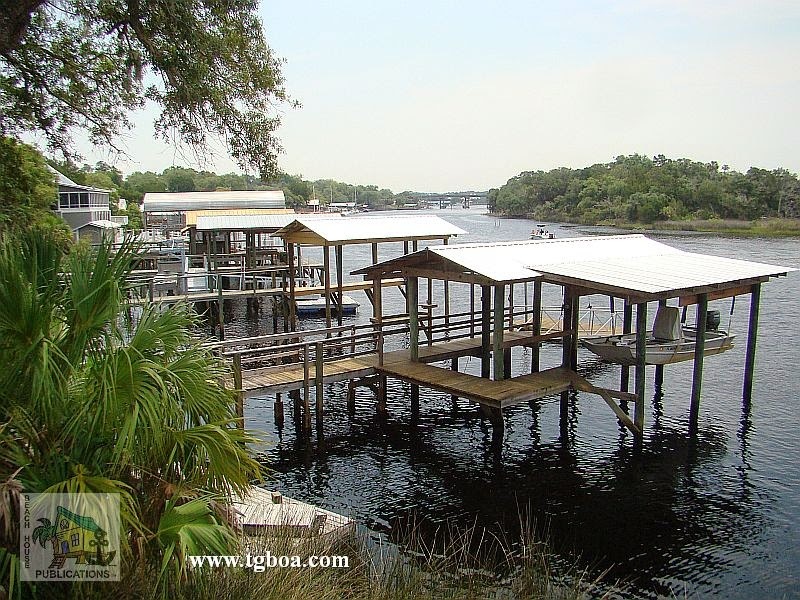 At the west end of the canal, you’ll be in Choctawatchee Bay. Pick an anchorage there based on wind direction if you are ready to stop for the day–just outside of the canal for east winds or either end of the 65-foot bridge for north or south winds. If you feel like continuing on, your next option is going to be another 8 miles beyond the bridge on the south side of the bay in Hogtown Bayou; another beautiful, quiet spot with little traffic. Beyond here it’s another 10 miles to any reasonably protected anchorage short of just pulling off to the side of the bay in the mouth of a shallow bayou or cove. Because they offer little to no protection, we have not included them here, but there are options. After passing under the 64-foot bridge that runs from White Pt. to Moreno Pt., head north into Rocky or Boggy bayous for some great anchorages or south into Joes Bayou at SM 230 and back into the very protected basin in the southeast corner. You’ll have a lot more traffic in the latter than the former. A few miles farther on brings you to Destin. If you can clear the 49-foot bridge, you can enter Destin Harbor or access the GIWW from the Gulf. It is incredibly busy in this area on weekends and during the summer, but if you’d like, take care with the constant shoaling and current turning in here, then anchor wherever depth and space allows outside the marked channel in the harbor. Boats also anchor before the bridge in Cinco Bayou to the northwest of Destin. Cinco and Garnier bayou’s inner recesses are only accessible by vessels that can clear the 19-foot bridges that cross their entrances, leaving them out for most cruising boats. 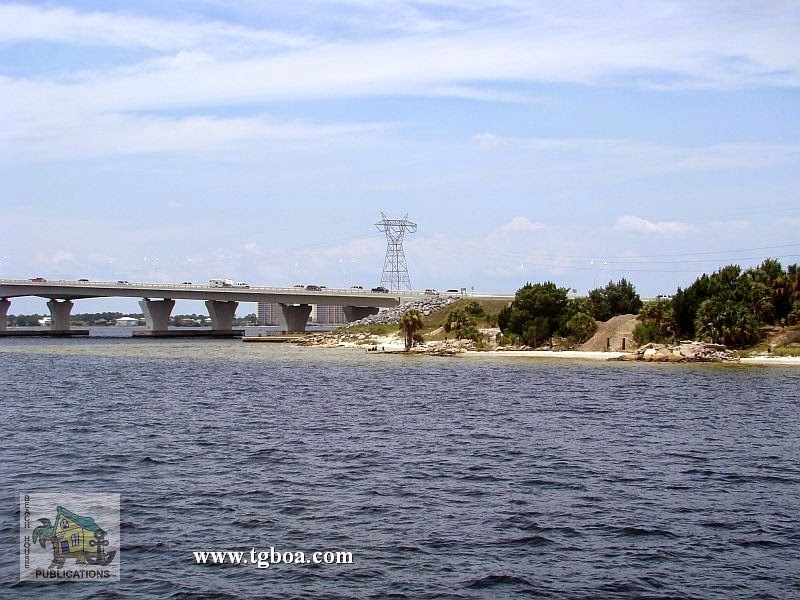 At the west end of Choctawhatchee Bay is the 50-foot Brooks Bridge and the entrance to The Narrows. The Ft. Walton Beach Free Dock is just west of the bridge to the north. This is a great provisioning stop as a major grocery store is just blocks away to the northeast, but be careful crossing this busy road. There is no power on the dock, but pump-out and water are available on the dock, and trash cans, recycle bins and restrooms are located in the park. You will be bothered by wakes here so fender well. The next 10 miles of Santa Rosa Island is in a restricted area occupied by the military so if you anchor along this stretch, land on the mainland side if needed. Navarre Causeway is another easy access point to shopping with a grocery store right across the street from the anchorage by the bridge. For the next 10-15 miles between the bridges, you can pull off toward Santa Rosa Island just about anywhere you’d like with plenty of depth, but for a specific anchorage, we recommend Big Sabine Pt. for the best protection. It is only open to the northeast, and even then, the shoals break up any chop. 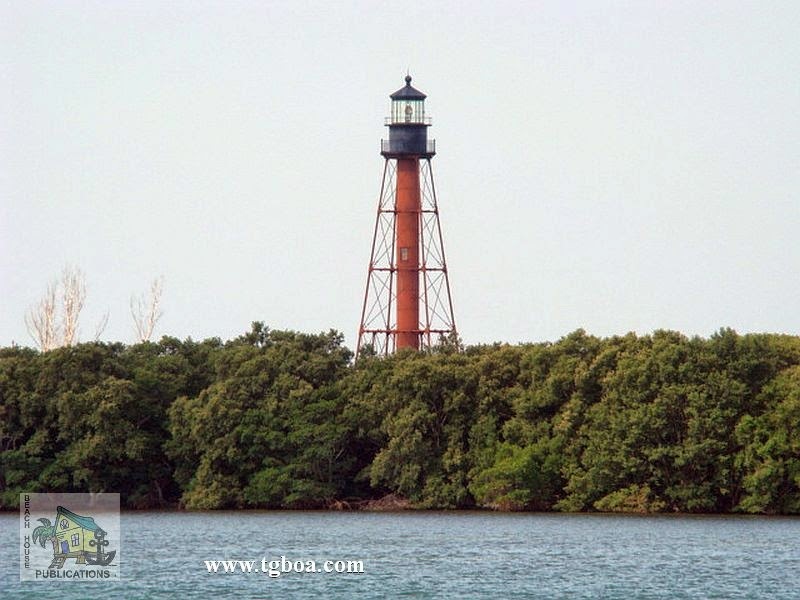 If you need more protection, Little Sabine Bay about 6 miles west offers 360° protection. 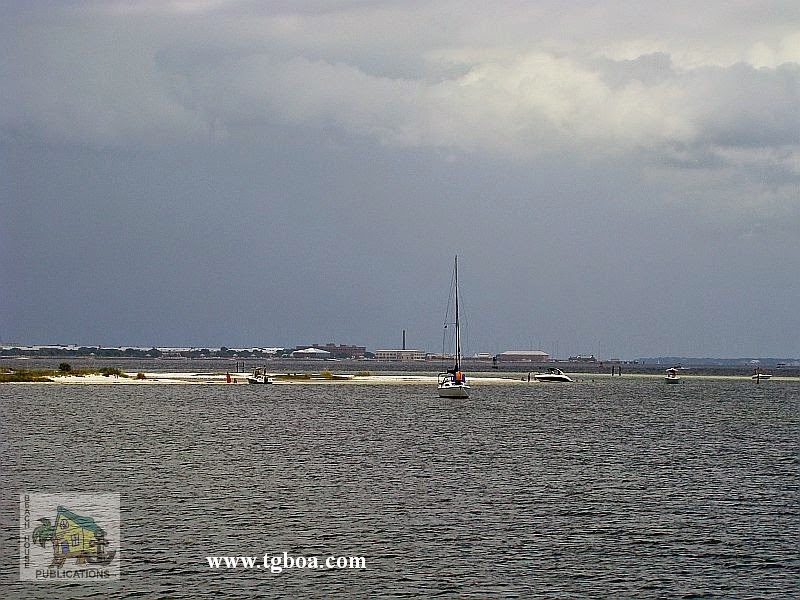 After passing English Navy Cove to the north, another great anchorage for frontal passages, you will enter Pensacola Bay. Here, you can either continue west in the GIWW where it enters the land cut just north of Fort McRee, or head north to Pensacola, a city rich in military history. The free day dock downtown gives you access to the city’s restaurants and museums, then anchor for the evening across the bay in Old Navy Cove, or around and into Bayou Chico if more protection is needed. Back in the GIWW, those of you who had to run offshore due to bridge heights will be able to re-enter here and pick up the waterway at Big Lagoon. If you want to anchor at Ft. McRee, make sure you only attempt entry from the west side as the east side near the inlet is shoal. There is plenty of water between the visible shoals on the west side to enter and anchor. Redfish Pt., a mile or so away, is a favorite amongst cruisers, but one of our favorite spots is farther down Perdido Key near Big Lagoon State Park. We anchor on either side depending on weather. 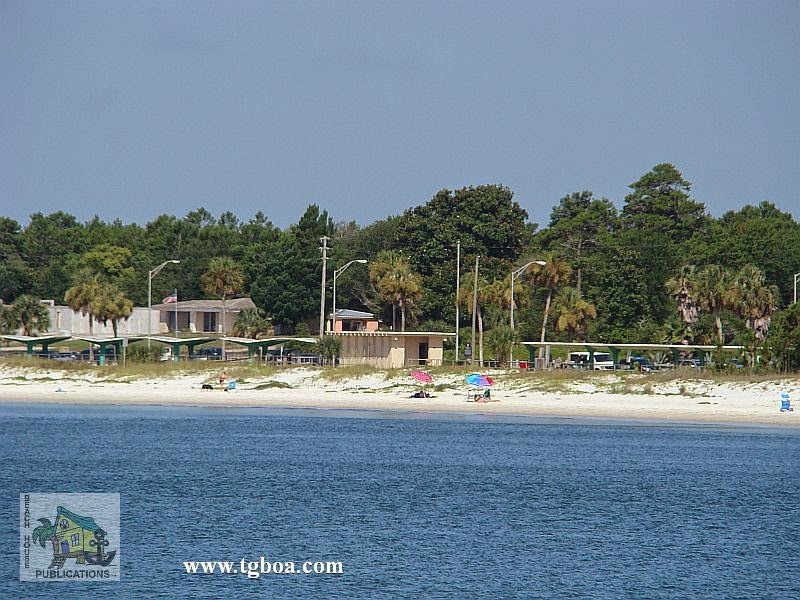 It’s great to anchor, dinghy ashore, then walk across the dune to the Gulf beach. Again, the beaches are the highlight of Gulf cruising for us. The line between Florida and Alabama is a bit murky. Perdido Key is in Florida, but Ono Key is in Alabama. The 1st anchorage is on the way to Orange Beach, the spot between Ono and Perdido keys near the bridge–a good stop for the night. You’ll have Florida on one side and Alabama on the other. 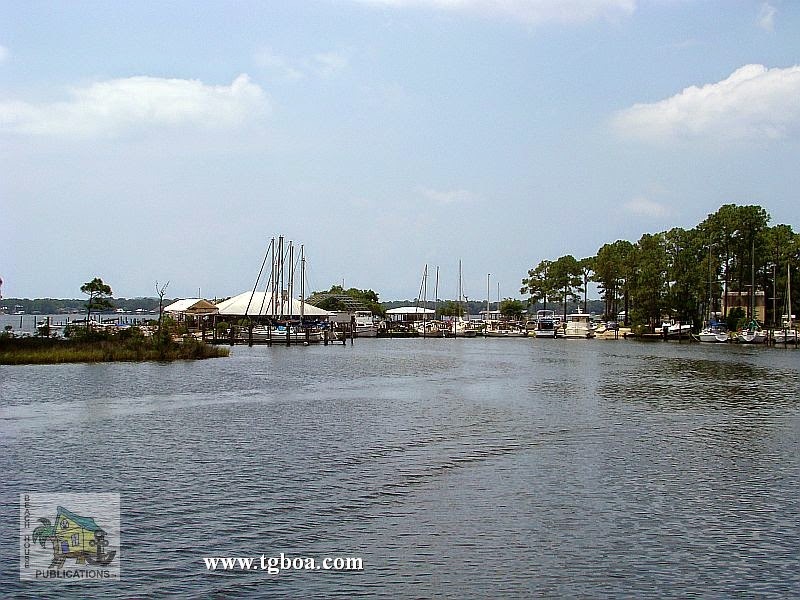 Our 2nd anchorage in Alabama is in Terry Cove, Orange Beach. It’s a 5-mile trek off of the GIWW to get there and it’s also a very busy place. 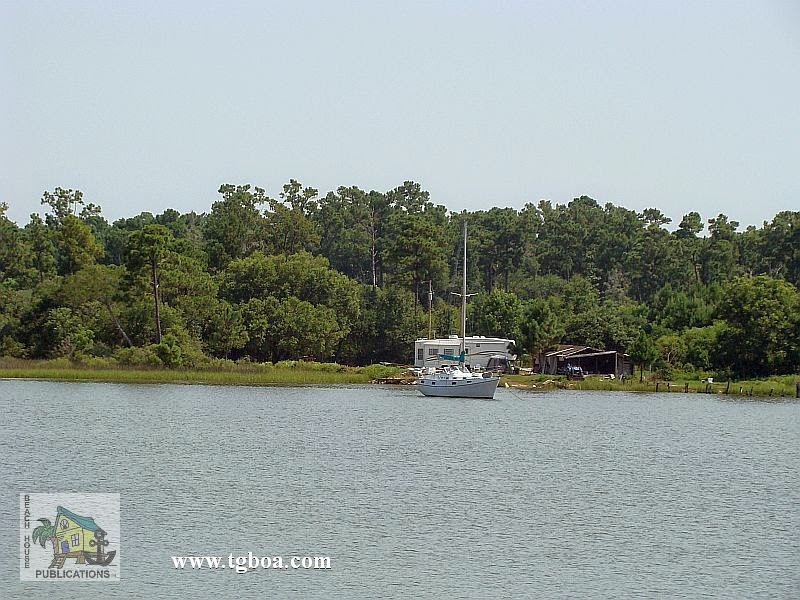 Just north of the GIWW, Spring Branch and Palmetto Creek in Perdido Bay provide beautiful, sheltered anchorages for those who draw 5 feet or less. Continuing west is the gorgeous, protected Roberts Bayou, with good eats and drink at the restaurant or the Arnica Bay anchorage next to a marina and restaurant, but exposed to wakes. 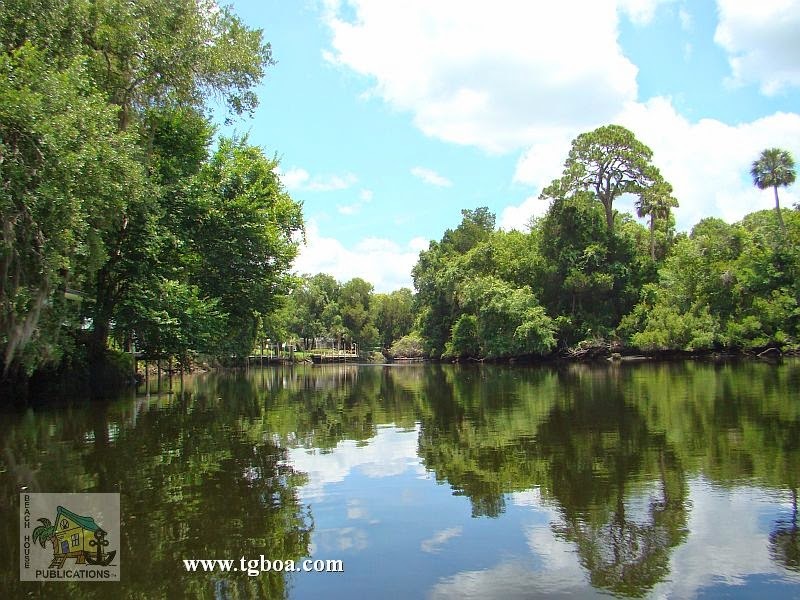 Ingrams Bayou, another lovely, protected spot, is just around the corner to the north. 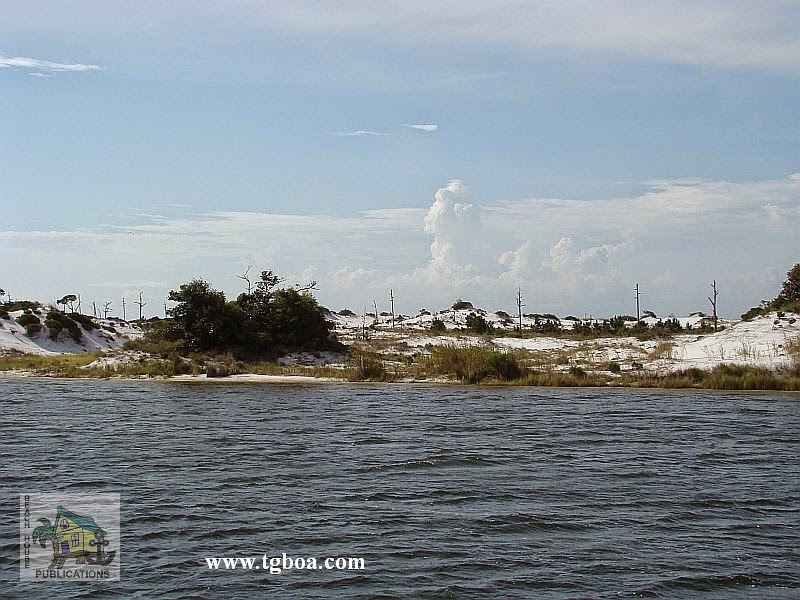 Anchor off the north side of Orange Beach for easy access to convenience stores and other services, or head up into Wolf Bay for quiet, pretty anchorages. These will be your last opportunities to anchor until you reach Bon Secour Bay, some 10 miles west. 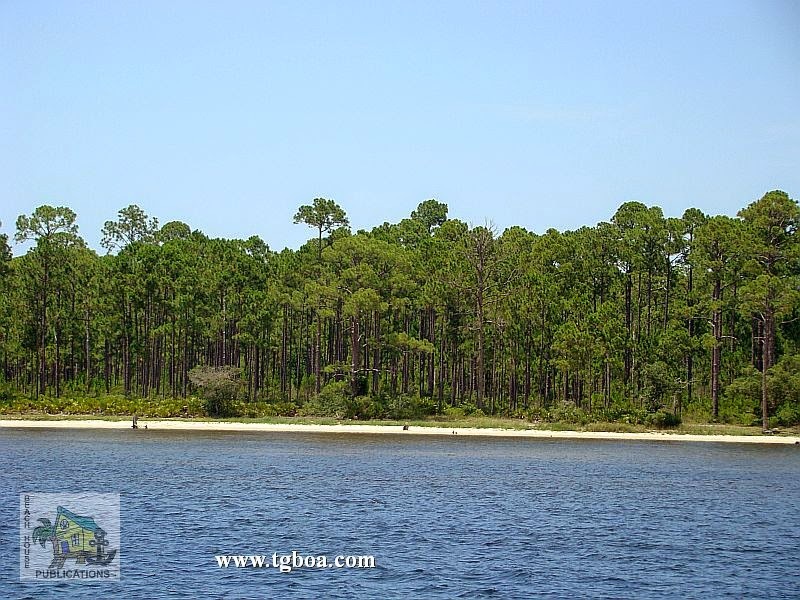 Upon exiting the land cut, the Bon Secour River entrance will be immediately to your north. These will be the last protected anchorages you will have until the Dog River northwest in Mobile Bay. Bon Secour provides a couple of adequate anchorages. Edith Hammock on the peninsula is a good spot for south winds, or head north some 20 miles to the Dog River in Mobile. Once beyond the marinas and restaurants, head west to anchor around the bend. This ends the coverage of anchorages from Cable Sable to Mobile.